KE Fibertec North American Inc. designs and sells fabric ducting systems (duct socks) for a draft free air distribution in all types of room and applications. Established in the early 1970’s, KE Fibertec was one of the first fabric duct manufacturers and has since grown into the largest fabric duct manufacturer in the world. KE Fibertec is equipped with advanced calculation software enabling its experienced engineers to simulate the solution and offer the best technical support in the fabric duct industry. Fabric ducts have become very well known for their flexibility and efficiency for a wide range of applications such as showrooms, public buildings, laboratories, sports arenas, industrial, and food facilities. 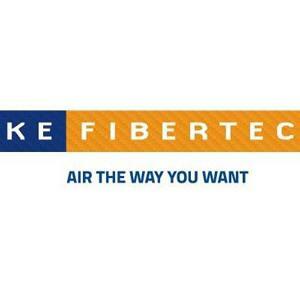 KE Fibertec has established a reputation for offering the best fabric ducts on the market in terms of quality, aesthetics, performance, and industry advancements.